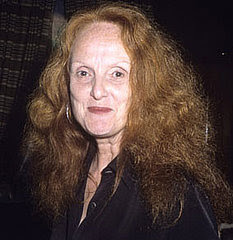 Grace Coddington, Vogue’s Creative Director, has an interesting story to tell, but the fact that she sold her memoir to Random House for $1.2 million is a little surprising. The New York Observer reports that this puts to rest the rumors Coddington had abandoned the project, which will be co-written by Michael Roberts, a writer for Vogue. Coddington is definitely known in the fashion world, but outside of that, is there really that much of an audience for this book? Perhaps we shouldn’t be so caught off guard by this though. People with far less interesting lives get book deals all the time. Don’t get mad! We’re sure Nicole Richie’s Priceless was quality work. We were actually talking about Mike “The Situation” Sorrentino. We do have to hand it to him and his publisher though, Here’s the Situation: A Guide to Creeping on Chicks, Avoiding Grenades, and Getting in Your GTL on the Jersey Shore is one hell of a title.